The federal government is deeply involved in western water, but it’s been struggling with how to help states there deal with one of the worst droughts in modern history. Here are some pragmatic reforms that would help build drought resilience in this most drought-prone of regions. Although it is raining and snowing in parts of California and other areas of the West, much of the region remains gripped by drought. The latest drought has provided a window into an uncertain and challenging water future in the region. To meet this drought’s challenges and to build resilience for the future, western states will need federal help. 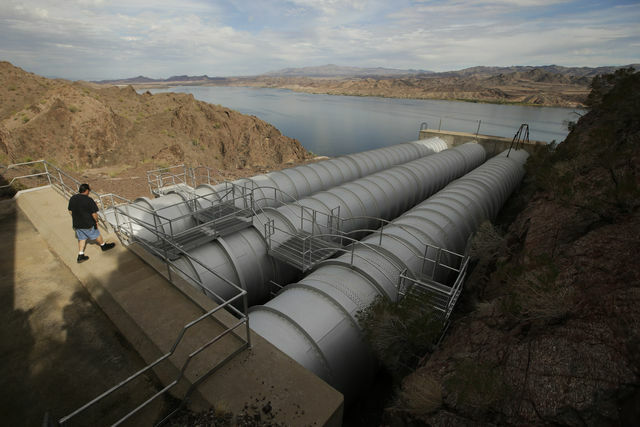 The federal government is the region’s largest landowner, irrigation water supplier, water information provider, hydropower generator and environmental regulator, with more than two dozen federal agencies and departments engaged in water management. With this vast involvement in western water, subtle changes in federal policy can be transformative. The PPIC Water Policy Center has identified a suite of modest, pragmatic federal actions that can help western states such as California better manage drought. The federal government should leverage its diverse authorities to help resolve long-standing conflicts in the West that are increasing vulnerability to drought. Federal “carrot and stick” approaches, such as linking support programs to the threat of regulation, can compel parties to resolve their differences, reducing regional tensions, litigation and costs. Conflicts in need of federal help include managing long-term water shortages in the Colorado River Basin, balancing water supply and ecosystem goals in California’s Sacramento–San Joaquin Delta and implementing previously negotiated agreements in the Klamath Basin over water use and dams. However, to be successful in using “carrots and sticks” to resolve conflicts, the federal government must coordinate its various efforts so that they have common goals and objectives. The policies and programs of too many agencies are working at cross-purposes. Alignment and administration of these programs at the watershed or basin scale is likely to be most effective and responsive to local needs. Modest reforms in federal agricultural support programs can go a long way to improving drought resilience. Agricultural water use accounts for 85 percent of total use by businesses and residents. More than 60 percent of all federal water-related funding to states comes from the U.S. Department of Agriculture. Programs that pay farmers to conserve water and land resources need to be made more flexible, and should be tied to efforts to reduce overall basin demand. For example, this strategy might include making “easement” payments to farmers to keep farms in field crops, which can be fallowed more easily than tree crops during droughts. Similarly, making payments to farmers who return some water to wetlands and rivers can help avert ecosystem crises during droughts. These programs can also be used to encourage recharge of groundwater basins during the wet season – an urgent priority in California’s Central Valley and some other western regions. Historic forest management practices and prolonged drought have left federal forests – the source regions for most of the West’s water – dense, dry and prone to wildfires. In recent years, more than half of the U.S. Forest Service budget has been consumed by fighting increasingly severe wildfires. Budget reforms are needed to allow the Forest Service to shift its focus from fire suppression to fire prevention, forest thinning and protection of headwater sources. Finally, all drought operations and planning in the West rely heavily upon water information and forecasts provided by multiple federal agencies. The federal government needs to modernize the way it collects data and forecasts weather. This includes reversing the long-term decline in support for monitoring water and climate, as well as improving forecasts from the National Weather Service. These changes can reduce the economic cost, social disruption and environmental effects of drought. Such reforms are all about doing a better job with the tools that are available. In some cases they may require minor enabling legislation – for instance, changing the budget line for suppression of major wildfires or making some existing programs more flexible in the next Farm Bill. But, by and large, all of these changes are doable in the short term, and should be tackled urgently. A drought is a terrible thing to waste. Reforming how the federal government manages water could make a major difference in how the West weathers future droughts. The time for action is now, before the next drought hits.